The Nomus Gateway e Series consists of various manageable modems and convertors. It is an intelligent new concept where you can mix and match from a selection of interface cards and order a product to match the application, other networking components and the available WAN links. The interface cards available include V.35/RS530/X.21 interface, G.703/E1 interface or the co-directional G.703 interface card. 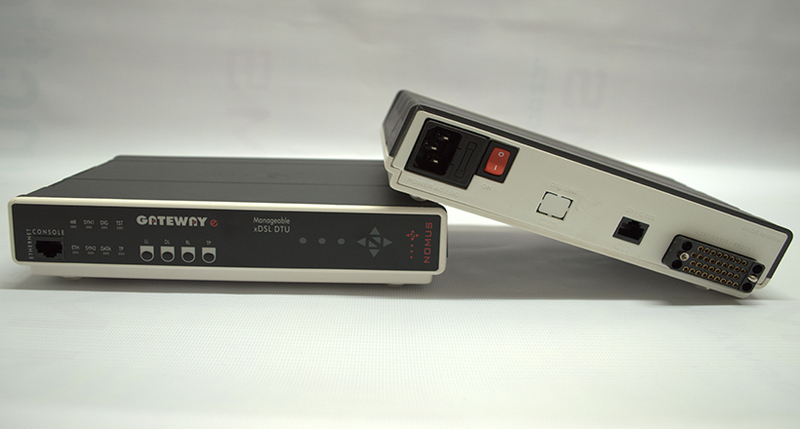 The Nomus Gateway E1-F converts E1 Electrical signals into Optical signals. This allows an E1 signal to be connected over long distances using Fibre Optic Channels. It is a very cost-effective and flexible solution to connect E1 equipment such as PABXs, Exchanges or Routers. Data rates of nx64kbps from 64Kbps to 2048kbps are supported. The Gateway E1-F conforms to ITU standards G.703 and G.995. Nomus Gateway e /ES and /ESL are very cost-effective and flexible Etherent Access Products. They offer connectivity to MPLS/IP networks over ordinary Twisted Pairs using SHDSL.bis. The Gateway e/ES uses two bonded SHDSL.bis pairs to offer speeds of up to 30Mbps. It automatically operates at reduced rates if one of the wire-pairs is damaged or disabled. Similarly, restoral to higher Bandwidth is automatic when the unused pair is enabled. 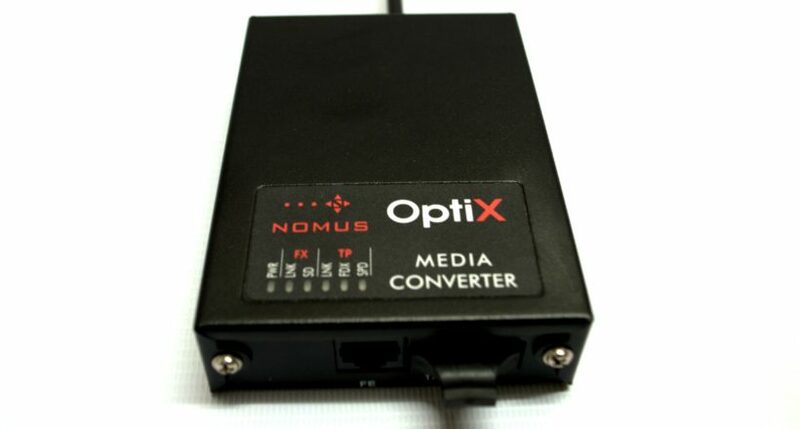 The NOMUS Optix e is a Media Convertor between 10/100 Base-T Fast Ethernet & 100 Base-FX/100 Base-LX. 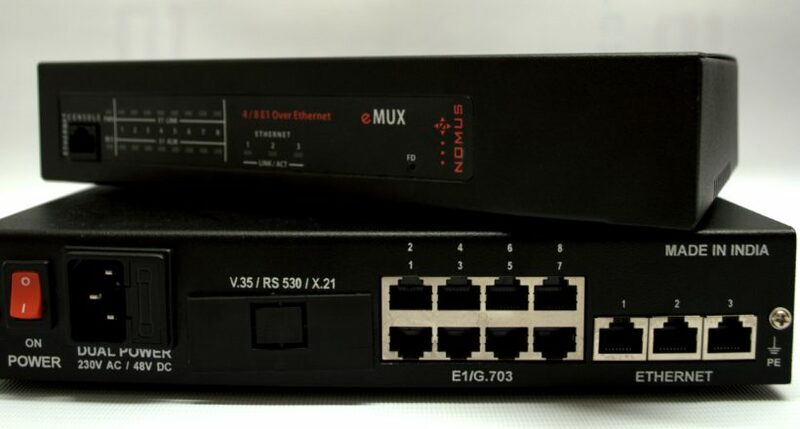 The Nomus T-Mux is an STM-1 Terminal Mux CPE. When used opposite an STM Add-Drop Mux, it provides an economical means of transporting 4 E1s & Ethernet Data over SDH networks. When used as a pair, it provides point-point connectivity over a fibre-optic link.The T-Mux WAN STM-1 interface is provided with a choice of LC or SC connectors. Various fibre modules can be provided by Nomus, based on user requirement.